The Internet has broken the boundaries in our modern world. Nowadays, you can find companies of all sizes having customers in all parts of the world. A never-ending array of information is provided to an international audience by business houses both big and Small, groups as well as non-profit organizations. You can see that the possibilities are endless, but it needs an efficient and effective web design. 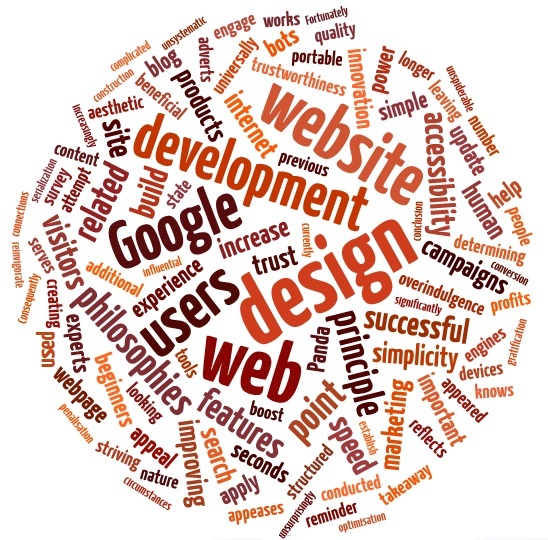 The art of presenting content to the end user using the World Wide Web is called web design. By using an efficient web design, you can bring in enquires that will help generate sales and thereby add assets to your business. In the digital world you can both find your target audience and tap into desired customers by using websites. All of this can be done while seating remotely. Today business houses have started using websites as a medium of interaction or communication. Through websites you can establish a global identity for your company while staying in touch with your clients 24 hours a day. Proper web development can help you showcase your products along with details to international customers. All of this can be done at a relatively low price. Websites are cost effective mediums of both sales and promotions. Web development consists of multiple disciplines like graphics, interactive design, animation, and information architecture. All of this together will help give your business a digital corporate identity. The combination of these features will help you interact with your unknown audience in a manner that is both effective and efficient. Websites are often seen as an interactive marketing strategy that will help you pull out hidden customers from around the world. You should Plan your website in a precise manner, so that it caters to the specific needs of your customers. People will view your website for a particular reason and thus, it is important that you know precisely what they expect when they visit your site. Having a clearly defined goal or purpose for your site will help in understand what the visitors want. This will also help you identify your target audience. So, while developing your website you must be precise and object oriented, so that you get the maximum benefit out of what you are putting on your website. Based on your company’s requirements you can make your website either static or dynamic.